The Centers for Medicare & Medicaid Services (CMS) is implementing a fraud prevention initiative that removes Social Security Numbers (SSNs) from Medicare cards to help combat identity theft. Because of the Medicare Access and CHIP Reauthorization Act of 2015 (MACRA), the current SSN-based Health Insurance Claim Number (HICN) identifier will be replaced by a new Medicare Beneficiary Identifier (MBI) by April 2019. 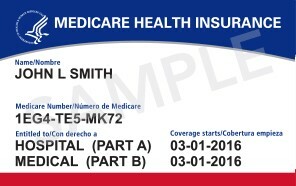 Under the new system, for each person enrolled in Medicare, a new MBI will be assigned and a new Medicare card issued. As with the SSN-based HICN, the MBI is confidential and should be handled and protected as Personally Identifiable Information. The unique, alpha-numeric, randomly-generated 11-character MBI will be clearly different than the HICN number, and possess “non-intelligent” make-up (i.e., void of any hidden or special meaning). The changeover will commence April 2018, starting with the mailing of new Medicare cards. The mailings will be completed in phases by geographic location. A transition period for Medicare beneficiaries to use either the HICN or MBI to exchange data will begin no earlier than April 1, 2018 and run through December 31, 2019. Starting January 1, 2020, claims are to be submitted using MBIs, with a few exceptions pertaining to specific plans and fee-for-service claims. Beneficiaries will not need to worry about coverage changes; the MBI will not alter Medicare benefits. Personal identity theft affects a large and increasing number of seniors. Individuals age 65 and older are increasingly found to be victims; incidents among this population increased from 2.1 to 2.6 million between 2012 and 2014, according to the Department of Justice. Beyond the emotional toll, identify theft is financially taxing: two/thirds of all victims reported a direct financial loss. Further, it disrupts lives, can damage credit ratings, and result in inaccuracies in medical records and costly false claims. A sample of the new cards is shown below. The new Medicare identification cards offer greater fraud protection for beneficiaries. The pharmacy can assist in educating patients and caregivers to ensure a smooth transition.